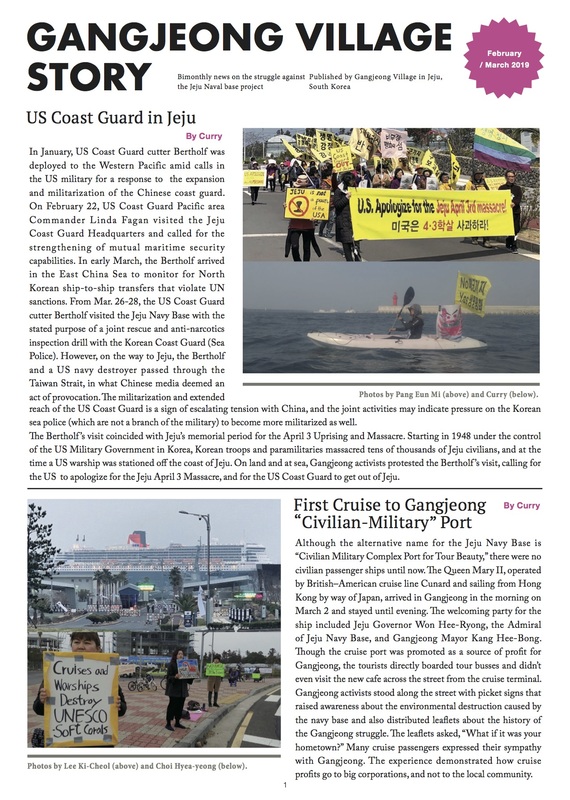 Photo by Choi S. H. / The village association symbolically moved its hall to a tent on the street in protest to the navy’s lawsuit on the rights to reimbursement after the emergency general meeting on April 10. The police surrounded the tent then without any legal ground. Such police move brought about people’s protest to it. For more photos by Oum M. H., Choi H. Y. and Choi S. H., see here. The below is a translation of the excerpted from the village statement titled, ‘Relocating the village association hall to a tent, ‘ April 11, 2016. Please see the related sites here and here. 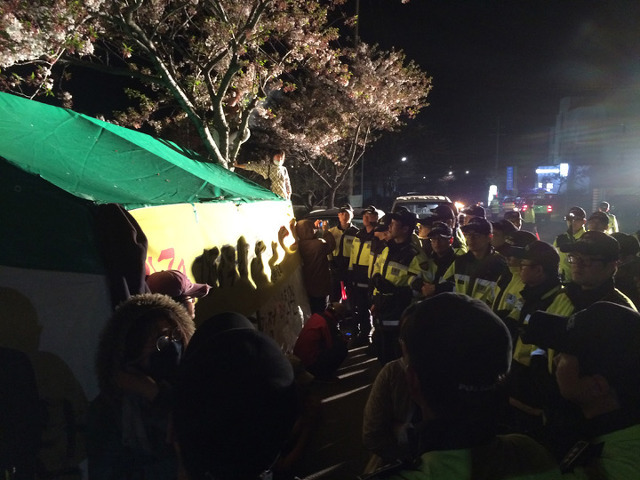 “…We, the Gangjeong villagers, are not activists. However, the reason that we symbolically relocated our Village Association Hall onto the street is because we have had everything taken away from us. For near 10 years, we have been trampled down by state power, and we have faced imprisonment and a barrage of fines while attempting to appeal and settle the naval base issue. 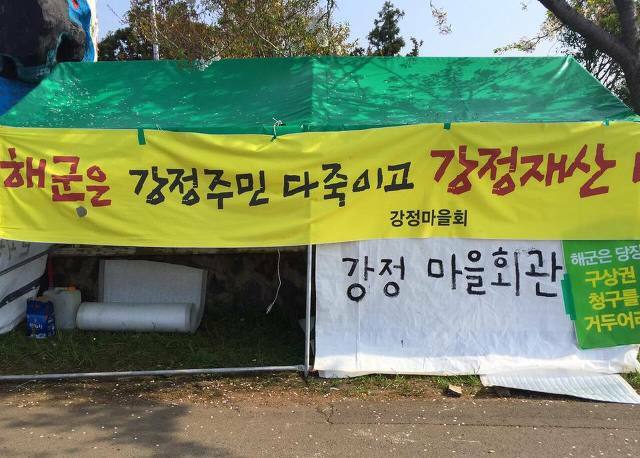 That is why we moved the operations of our Village Association Hall to a sit-in protest tent along the street [in a symbolic expression of our resistance]. When we had been faced in the past with enormous fines that we could hardly afford to settle, we did not consider selling the Village Association Hall because the residents ruled out the possibility. They said the villagers had not given up the Village Association Hall even under Japanese imperialism. They said: No matter how heavy and difficult it may be to resolve the fines, and even if problems could be solved by selling our building, we cannot sell the Village Association Hall because it is our spiritual pillar. Therefore, we endured a barrage of fines without selling it, however challenging the situation we faced. But all of these properties held in common by the village, which we have tried so hard to preserve, will be lost unless the Navy drops its lawsuit against us. Photo by Oum Mun-Hee. For more photos with original Korean statement, see here.